A recent study conducted at the Uniformed Services University in Bethesda, and published in the medical journal Neurology (of the American Academy of Neurology) , showed that there was a link between migraines and the development of Parkinson’s Disease. Though severe migraine attacks are considered as disabling as serious illnesses such as dementia, active psychosis or even quadriplegia, it is still the most under-funded and less researched of all neurological diseases in the world. 1% of the persons without headaches developed Parkinson’s later when compared to 2.4% who developed it and had migraines with aura. People with migraine with aura were also around 3.6 times more likely to report at least four of the six symptoms of Parkinson’s, and people with migraine without aura were 2.3 times more likely. In people with no headaches at all: 7.5%. Bisphenol A or BPA is a carbon-based synthetic compound and a type of bisphenol that is used in the making of certain plastics and epoxy resins. BPA is known to exhibit hormone mimicking properties when mammals are exposed to it in higher doses but even at lower but sustained exposure to BPA is suspected of causing damage to fetus, infants and the young. Countries of the European Union and Canada have banned the use of BPA in the manufacture of feeding bottles. However, it does go into making plastic containers used for storage in the kitchen and the omnipresent plastic water bottles, plastic microwave trays etc we use every day. It is also found in other products like shower curtains, till receipts etc. Lydia Vermeer, Ph.D., a postdoctoral fellow in Berman’s lab said, “We hypothesized that BPA exposure would activate estrogen receptors, exacerbating migraine symptoms.” The hypothesis that BPA mimics the hormone estrogen was confirmed when the researchers found an influx of estrogen levels signalled by the rat brain in the exposed rats. As per The Mayo Clinic hormone estrogen (as well as progesterone) plays key roles in regulating the menstrual cycle and pregnancy which may affect headache-related chemicals in the brain. As per Dr. Nancy Berman, “This is an entirely new direction for the field of migraine.” (4) The scientists now believe that a change in diet might provide some relief for migraine sufferers, who make more than 68 million visits to physicians’ offices or emergency rooms in the United States each year. Bisphenol A (BPA) has already been linked to a range of health problems including obesity, infertility and heart attacks. Researchers have found that taking diamine oxidase supplements significantly reduces the duration of a migraine episode, especially if the migraine has been brought on by food triggers like cheese, caffeine, red wine etc. They have also observed that there exists a mildly indirect relation between to the total number migraine attacks itself in the mid to long run. 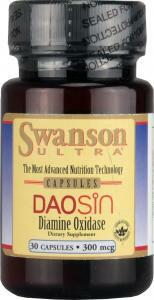 Diamine oxidase (DAO) is an amino acid that helps metabolise (break down) histamines released by our bodies. When we eat foods that we are allergic to (because our body cannot handle it’s digestion for any number of reasons specifically lack of appropriate enzymes) then the body perceives the situation as a threat to it’s well being. As a result it begins an immune response. In such as case histamines are released causing the capillary walls to give more access to proteins and white blood cells to engage with the pathogen/trigger/danger. This increase in histamine triggers migraines. Histamines are also present in certain foods itself that when consumed raise histamine levels of the body and then trigger a migraine. Thus it is obvious that if migraineurs with food or weather triggers are administered an enzyme (such as DAO) that is responsible for the breakdown of histamines, migraine duration and number of attacks would reduce. The study did not take into consideration alcoholism, psychiatric disorders, or a diagnosis of any disorder for which a treatment could be used as migraine prevention in the previous 1 month or those who could not consume pork-based products (DAO source). 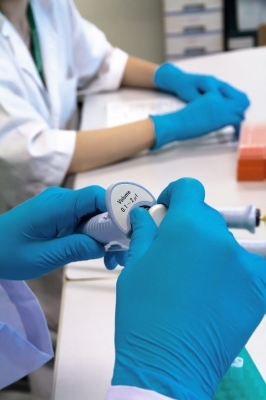 Normal DAO enzyme activity is considered to be a score of 80. In the study, he found that there was a clear correlation between enzyme score and migraine episodes and intensities. Symptom scores rose progressively as enzyme activity dropped below 80 HDU/mL, with scores 50% to 120% higher in the 30-40 HDU/mL range compared with enzyme activity >80 HDU/mL. Two groups were made and the control group was administered placebos and the other group was given the DAO supplements. The participant dosage was 2 capsules each after breakfast, lunch and dinner. To understand the pain factor, researchers noted the consumption of triptans by the participants. Those who were on placebos consumed 20% more triptans than those on DAO capsules. The diminished triptan use among patients receiving DAO suggests that the compound may have also reduced the intensity of pain during an attack, the researchers suggest. However, to be sure about the outcome of the research, a larger population needs to be studied cutting across ethnic groups and races. At it’s current stage, it is important thus to educate migraineurs of triggers whether they are of food, hunger, exposure to sun, sleep deprivation or weather and environmental conditions. Acupuncture: A ‘Yes’ or A ‘No’ For Migraineurs? In order to find out the effect of acupuncture compared with sham acupuncture in treating migraines, a team of investigators carried out a randomized controlled human trial. 480 individuals at 9 hospitals in China who experienced migraines for over one year, with two or three migraines in the 3 months prior to the investigation, were enrolled to participate in the study. The researchers randomly assigned the volunteers to four groups. Those in one group received sham acupuncture, while participants in the other three groups received different types of acupuncture. Their ages ranged from 18 to 65 years. In the United States and England, migraines affect approximately 16% to 18% of women and 6% to 8% of men. Evidence on how effective acupuncture is at treating migraines is mixed, as some studies suggest it is the placebo effect, instead of a therapeutic effect that relieves symptoms. 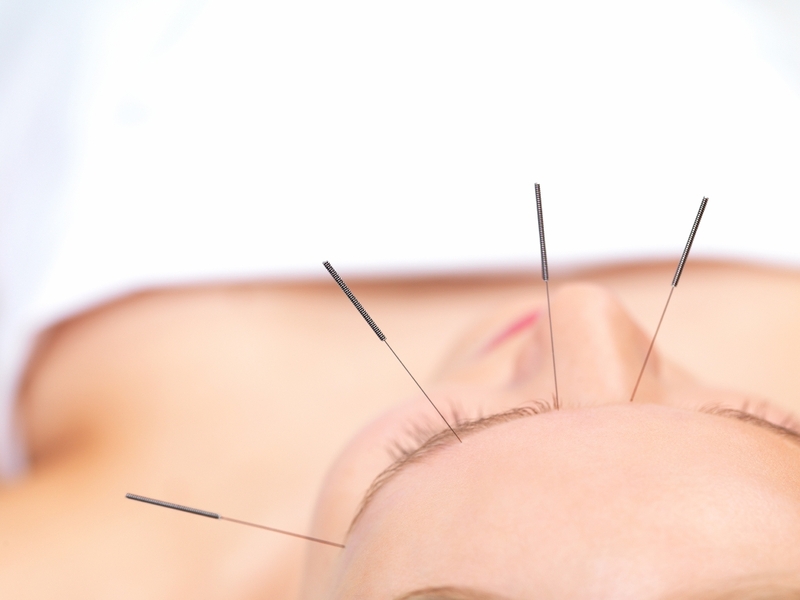 Acupuncture distinguishes between real acupuncture points and non-acupuncture (sham) points. In an associated commentary, Dr. Albrecht Molsberger, Ruhr University, Bochum, Germany and the University of North Carolina, explains that according to previous evidence, acupuncture helps treat severe migraine attacks. In a second randomized controlled trial, investigators in the Netherlands enrolled 490 patients from 64 general practices, 233 of them attended consultations to assess treatment of their migraines, as well as 257 in the control group. The researchers set out to examine whether a proactive approach by primary care physicians to patients with suboptimal migraine treatment would result in improvements. In the Netherlands, only 8% to 12% of all patients with migraines used prophylaxis, while a considerable amount of individuals used too much medication for migraine attacks. Even though more individuals took prescription medication to prevent migraines as a result of the approach, the researchers observed no clinically relevant effect after six months. ScienceDaily (Oct. 10, 2011) — Although exercise is often prescribed as a treatment for migraine, there has not previously been sufficient scientific evidence that it really works. However, research from the Sahlgrenska Academy at the University of Gothenburg, Sweden, has now shown that exercise is just as good as drugs at preventing migraines. Doctors use a variety of different methods to prevent migraines these days: on the pharmaceutical side a drug based on the substance topiramate has proved effective, while non-medical treatments with well-documented effects include relaxation exercises. Exercise is also frequently recommended as a treatment, though there has not been sufficient scientific evidence that it really has any effect on migraine patients. In a randomized controlled study researchers from the University of Gothenburg’s Sahlgrenska Academy have now analysed how well exercise works as a preventative treatment for migraines relative to relaxation exercises and topiramate. Published in the journal Cephalalgia, the study involved 91 migraine patients, a third of whom were asked to exercise for 40 minutes three times a week under the supervision of a physiotherapist, with another third doing relaxation exercises, and the final third given topiramate. The study lasted for a total of three months, during which the patients’ migraine status, quality of life, aerobic capacity and level of phyical activity were evaluated before, during and after their treatment. Follow-ups were then carried out after three and six months. The results show that the number of migraines fell in all three groups. Interestingly, there was no difference in the preventative effect between the three treatments. “Our conclusion is that exercise can act as an alternative to relaxations and topiramate when it comes to preventing migraines, and is particularly appropriate for patients who are unwilling or unable to take preventative medicines,” says Emma Varkey, the physiotherapist and doctoral student at the Sahlgrenska Academy who carried out the study.